Physician-formulated and Canada’s leading independent skin care company, Alyria’s line was developed to cleanse, protect, and repair while addressing the anti-aging demands of the forever young skin care market. 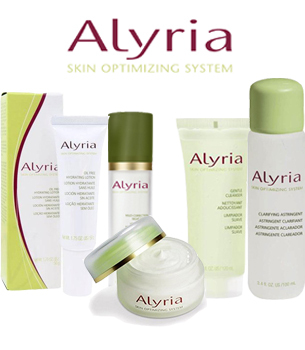 Featured on the television megahit, The Doctors, and on NBC’s The Today Show, Alyria offers a full range of skin care products to rejuvenate and beautify the skin. Discussed on The Today Show by a leading dermatologist, Alyria products were featured for diminishing age spots, wrinkles, and fine lines while moisturizing skin with effective and natural ingredients. DrSkinSpa.com is an Authorized Retailer of Alyria. All Products are Guaranteed Authentic & Fresh. 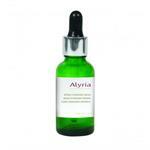 Achieving healthy skin is effortless when you have Alyria in your arsenal of skincare products. This extraordinary line of skincare is designed to help women achieve only the most healthy, radiant complexion and appearance. Some of the finest products are used in the Alyria line of skincare products, and their patented delivery systems allow the cutting-edge formulations to enhance the beauty of the skin. The line of products is formulated to improve the skin's tone and texture, to reduce fine lines and wrinkles, and to improve the overall look and radiance of the skin. Alyria, through its patented delivery systems, creates a tried and true skin care regimen that cares for the skin and ensures that the natural beauty shines through. 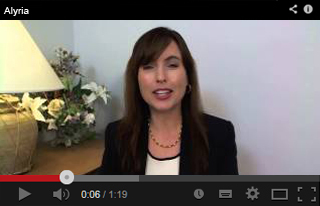 It's the skincare technologies that have made Alyria so successful and so widely regarded in the skincare industry. Glycolic Acid – This ingredient is often used for treating rough skin in need of toning and refining. It is also helpful in treating fine lines and hyperpigmentation. Alyria delivers glycolic acid through the patented system called Amphoteric System, which controls the release of free acid molecules into the skin while at the same time delivering glycolic acid at its fullest strength. Retinol – Retinol, derived from pure vitamin A, is widely used for fighting wrinkles and refining pores. Through Alyria's patented-release micro-delivery system, Retinol is delivered in Alyria's Retinol Night Complex Level I and Retinol Night Complex Level 2. Matrixyl – Matrixyl, a pentapeptide that helps stimulate collagen synthesis and promotes tissue repair and wrinkle repair, is found in Alyria's Revitalizing Cream and Revitalizing Eye Serum. Vitamin K – Vitamin K is the foundation for Alyria's Anti-Dark Circle Night Serum, which is designed to reduce the appearance of dark circles. Along with Vitamin A, the Vitamin K in the Anti-Dark Circle Night Serum is delivered deep into the skin throughout the night. 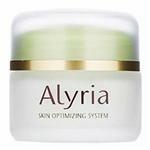 Alyria, through its Alyria Skin Optimizing System, helps both men and women achieve healthier, younger-looking skin. Using breakthroughs in scientific research, as well as patented delivery systems, Alyria is able to deliver the most comprehensive skincare products that are formulated to: reduce fine lines and wrinkles, restore skin's radiance, improve skin's elasticity, refine skin's texture, clear acne-prone skin, enhance moisture retention, and fade dark circles. 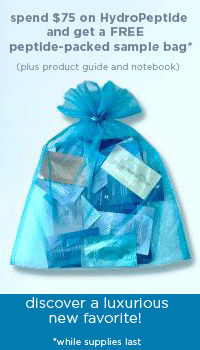 Regardless of the reasons for skin health, from environmental conditions and heredity predispositions to aging and nutrition, Alyria addresses these problems with a number of incredibly effective, technologically advanced ingredients through its patented delivery systems, thereby placing Alyria in a top class of skincare products.